MERCURY RISIN’: WHAT TO DO WHEN IT’S TOO HOT TO COOK! BUILD A FIRE AND WATCH IT IN 100 DEGREE HEAT? NOT TODAY…ROAD TRIP!!! daughter in Waco called and said “Let’s meet for lunch!” I hadn’t been to Louie Mueller’s in a year or two, Mueller’s is about half way between us, and the Texas Monthly Top 50 list is just out. Let’s go see if they still deserve their spot. You cannot deny the vibe of Louis Mueller Barbecue. It feels like history happening! Like the fabled albeit not as good as it used to be Smitty’s in Lockhart, it makes you think “if the Smithsonian were going to have a barbecue joint, it would feel like this. And plenty of folks know it. The wait was over an hour, but hey, we made some new friends. There was a couple in front of us were eating their way through the Texas Monthly challenge. We had a grand old time comparing notes, talkin’ who’s on the list, who’s not, whatever happened to so and so, you know, they used to be on every list, what ever happened to them? 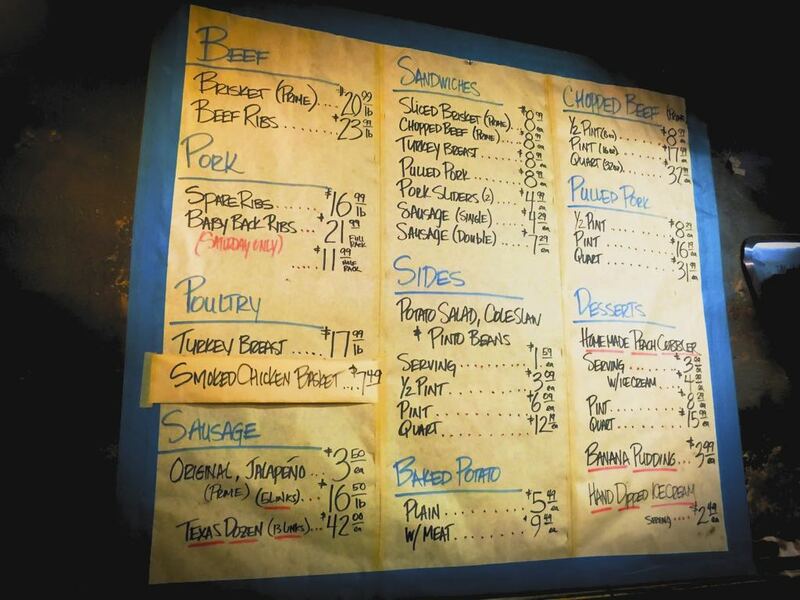 You gotta love a menu that’s applied to the wall with painter’s tape! But we persisted, stayed the course and, when we finally made it to the front, ordered up: Ribs, brisket sausage. 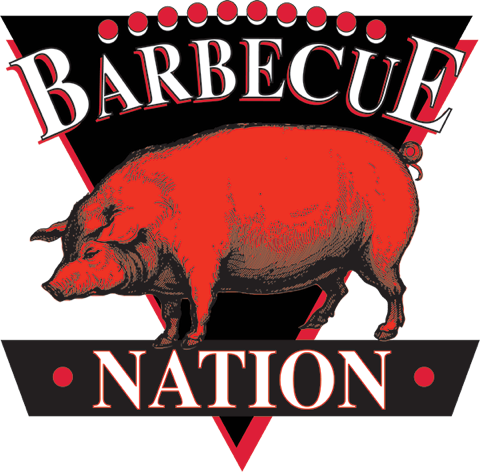 The Trinity of Texas Barbecue! Oh, and some pulled pork sliders, in a not to the 21st century. Props to the man with the carving knife! He was the only guy cutting meat on this day and he was DOIN’ THE JOB! : Handled our order with a smile and great personality, and that knife with great skill. About the coke sign: Way cool, but hey, it’s Texas barbecue so I opted for the Big Red. If there’d been a Big Red sign this cool, you’d be looking at a picture of it. PATIENCE WON THE DAY AND FINALLY IT WAS TIME TO EAT: If you are steeped in Texas barbecue tradition, this was your meal. The brisket was rich, salt and pepper, black bark good. The ribs were smoked to a perfect bite with a solid South Texas flavor profile. This ain’t Southern, it’s South Téjas! The sausage? Well, sadly a bit of a weak link, imnsho. Personally, I like a coarser grind than the Mueller sausage but that’s what makes a meat market. Sides? Yes, there were sides. But… who cares? What we really tasted in this outing was a taste of Texas barbecue history: taste rooted in a time where the fundamentals won the day. A time less chef centric and before such a ting as sliders. Bottom line: If you get south of Nebraska, make sure you get by Louie Mueller Barbecue in Taylor, Texas.